What I love most about Brezza are the people and their pets. That’s something many of us can bond over and ultimately make new friends in our community! This place is excellent, and the staff is friendly. It's very clean, the amenities are amazing, the location is perfect next to the high way, and there is never any traffic going south. Anibal, Thank you for the stellar review, I love hearing you enjoy your home at Brezza. The community is great and well maintained. It is a safe place for me and my family to live since we are new to Austin. The apartment management is attentive to its residents. Staff is always nice and understanding. Dog amenities are great. However the lack security systems and internet provider options can be a little frustrating. Overall good place. My family and I moved to Austin, TX 6 months ago and we are so lucky to have found Brezza Apartments! Clean, friendly and amazing amenities. If you are looking to find an apartment in South Austin, come to Brezza! I love living here. The staff are so friendly, there are always community events going on for the residents and the office and property is always clean. 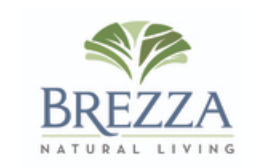 Love everything about Brezza! The community is always kept up to par. The whole management team is very friendly and helpful. Any issue that may arise, gets handled in a very timely manner. I plan on resigning my lease here! From the staff, to the community well kept, to the apartment looking brand new at move in. I couldn’t have asked for more when I moved here. The staff was very helpful to show me the property, answer all questions and made the move-in process so easy! I’m excited to live in Austin at a great apartment! I would rate and review my apartment community a 10 out of 10. Excellent on all concerns. There is nothing needed to be changed or improved. I would not want to live anywhere else. The Brezza Apartments are so nice and very updated (as they are only a year and a half old). They are located in a great place, have great layouts, and great management! So far this has been my best living experience in Austin. The management/office team actually cares and they have been nothing but polite. Maintenance has been quick and responsive and the property clean. I would definitely recommend this property to friends. New complex. Pool and gym are great. You can tell some things were built hastily. Office is okay. Maintenance is eh. I renewed another year. Great apartments, great location! Love the amenities, plenty of grills and a perfect gym. Also there’s an awesome coffee machine in the front office with some fun games! I really enjoy it here. The staff are wonderful. Everyone in the front staff - Rachel, Robbie, grant, and kelsie are really nice and makes you feel part of the community. It is very clean here and with so many dogs, I like how they monitor the dog poop or when tenants help report dog poop. The only thing I wish was more and bigger parking space. But I love the design of the apartment. The high spelling, modern style, and huge island is what sold us. I absolutely adore our complex/community. However, the sqft and monthly rent and for being so far south, is a little overwhelming. And the amount residents have to pay for sewer every month and valet trash is outrageous. The fact that we don’t have the option to opt out of valet trash is a little unfair. Those are the only complaints my roommate and I have. We love everything else! I love my new updated apartment! The amenities and location are so convenient, I can get grocery stores, gas station, or restaurants without even getting on I35!!!! The staff is friendly. But apartment complex itself still feels unsafe. My gates were left open again last night after 8pm. This is the 3rd time it's happened. Someone was trying to get into my apartment again on "accident". I told them I wasn't expecting guest and to leave. They simply said "wrong apartment" but were tugging pretty hard. I went outside to see the direction in which they went and they walked to the parking lot. Cops/Staff aren't doing anything about this. A lot of homeless people near the apartments with yards. And last week there was an intoxicated homeless man asleep by my front door. Had to call 311. There's always dog droppings in the field. (Although I was told my dog needed to get DNA tested and would get fined if my dog's poop was out). This week alone I have stepped in dog poop while on the property's field near Brezza Ln (near front entrance). There was dog poop literally 3 feet from the disposal and there was plenty of bags. Staff has been nothing but helpful and courteous. The living conditions are great and the apartments are spacious and modern. The only concern I have is that some of the parking spots are very small and a tight fit even for a small car. Amazing Front office personnel and great location!! Have only moved in about two weeks ago and already loving it! Definitely would recommend! Great place to live. We’ve moved within the community instead of moving out when we needed a larger place. Love the floor plans and the neighborss.